The Amerimax Aristocrat window is considered the flagship product in the company's vinyl window arsenal (if three window series including the Amerimax Craftsman Portrait and Masters Grande window can be considered an arsenal). The Aristocrat Casement series comes in the Casement, Picture and the Awning window style. In terms of workmanship, the window is well built, with tight weather seals, a sturdy 3.25" depth frame, good corner welds, Roto hardware and a single touch multi-point lock system. While I wouldn't consider the Amerimax Aristocrat window the best casement window on the market, I would put it firmly in the second tier of product offerings and one that delivers solid long term value. Consumers can expect Amerimax Aristocrat windows prices to run $40 to $50 per square foot for the window itself. Comparable windows include the Sunrise Verde window prices and Okna 500 windows cost. The Amerimax Aristocrat generates some pretty impressive performance data. 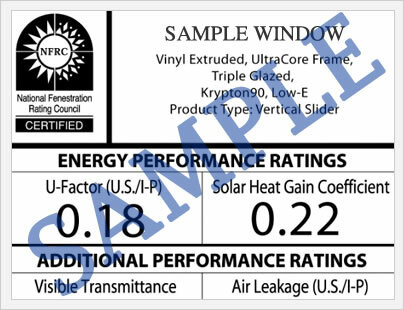 The casement with the Ameriglass E2 glass package delivers a DP50, U-value of .27, SGHC of .26, VT of .48. The Amerimax Aristocrat awning window with the upgraded Ameriglass AG3 Neat glass package delivers a DP50, U-value of .26, SGHC of .22, VT of .50. All in all, some pretty nice numbers for a movable or operable window. The Amerimax Aristocrat comes with a limited lifetime warranty that includes a lifetime provision on any material or manufacturing defects. This applies to the sash, frame, components and hardware. 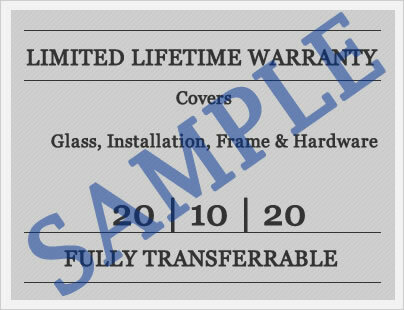 The insulating glass unit comes with a lifetime warranty not to fail. The Amerimax warranty can be transferred to another owner once and the company must be notified in writing of the transfer and must also pay a one time $75 transfer fee. As with any vinyl window, there are exclusions and limitations that apply to the warranty and consumers ought to read the document in full prior to their purchase. Do you any questions on the Amerimax Aristocrat window that you'd like answers to? Simply fill out our question form to the right and get answers from our industry staff of professionals. Do you own the Amerimax Aristocrat window and want to share your experience with others? We would love to post your review, good or bad, on this or any other	Amerimax Windows and Doors.